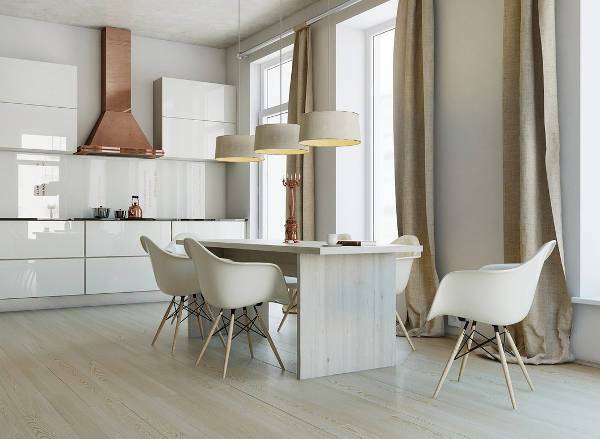 Even though we still connect the domain of a culinary space to a woman, today we have a lot more self-sufficient bachelors and passionate home and professional chefs who want their kitchen space to reflect their personality. 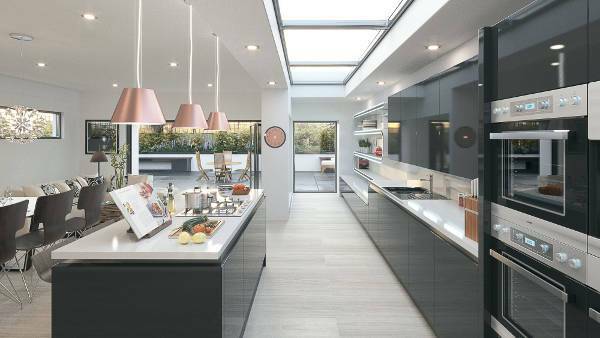 If you relate well to any of the three dynamic individuals, we have today compiled a list of 10 modern and sleek kitchens which will serve well to a style conscious man. Try and give your breakfast bar area a separate wooden finish to create a comfortable and eating space that also acts as a clever separation from kitchen’s countertop. The wooden space can also be used for guests to relax while dinner is being prepared. Black and white is always a classic and evergreen option for a kitchen/breakfast bar space. The colour combination also offers you plenty of room to experiment with the rest of the decor. This unique angular counter is definitely one of the creative and unique ways to bring a contemporary upgrade to your kitchen. The unconventional design of the counter also makes a great option to utilise the maximum amount of space in a small bachelor pad. 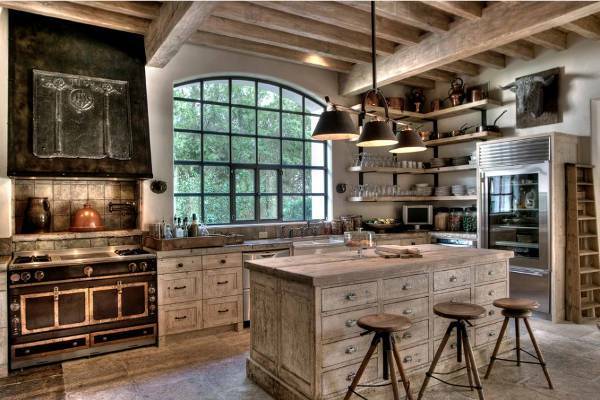 If you are looking for something more natural and unique a rustic style kitchen is certainly the best decor solution. 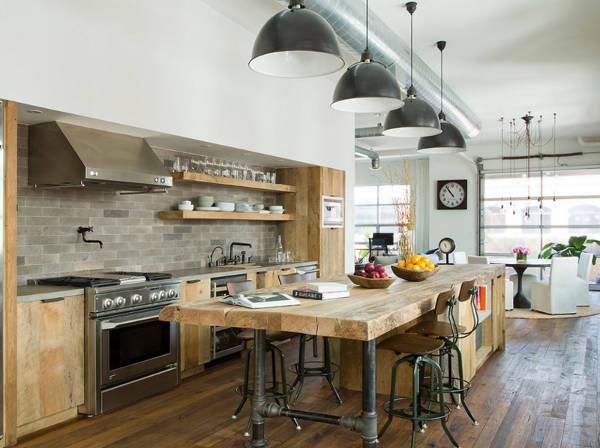 With natural wood stretching from floor to ceiling, the rustic style also enhances the aesthetic presence of the home. The huge copper hood acts as an impressive centerpiece in the kitchen. The neutral and natural elements like a cool wood table and soft drapes help to draw and fix the attention to the hood. A modern style kitchen with a touch of industrial is one of the easiest ways to bring a masculine edge to your culinary space. The brick walls, when complemented with modern day cabinets in dark grey, lend the perfect contrast to the kitchen. 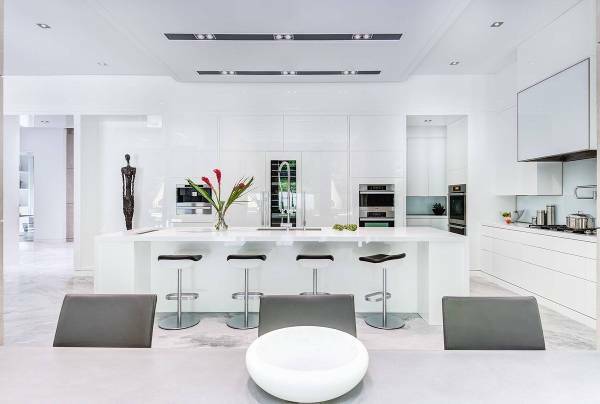 A complete white kitchen with white cabinets and white table and countertops help to bring a unique feature to the home. 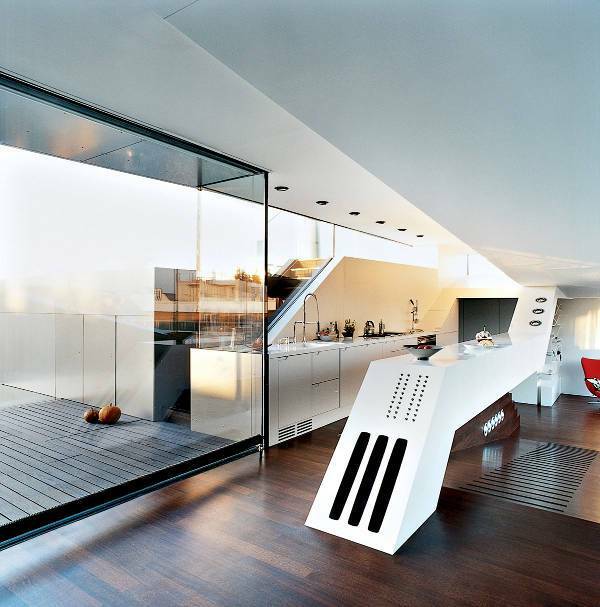 Subtle and simple, the white colour and design also lend a futuristic appeal to the home. 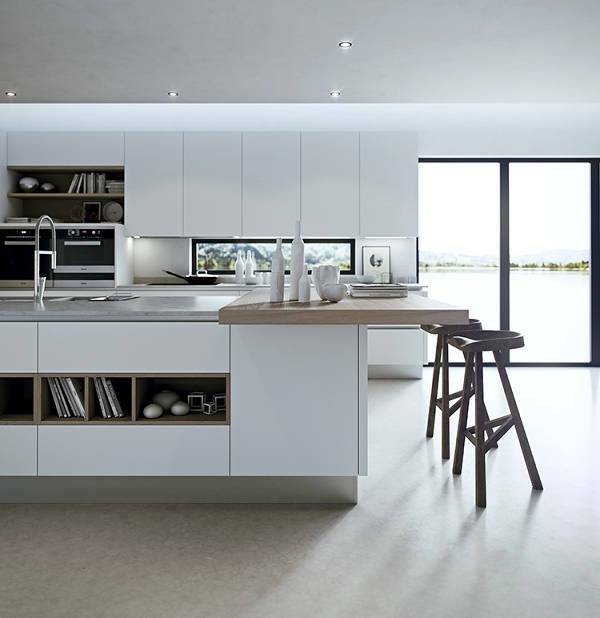 If you have a large and spacious open area for the kitchen, try and create the kitchen parallel to the living or lounge space. Incorporate a large window or door to maximise the source for natural light. 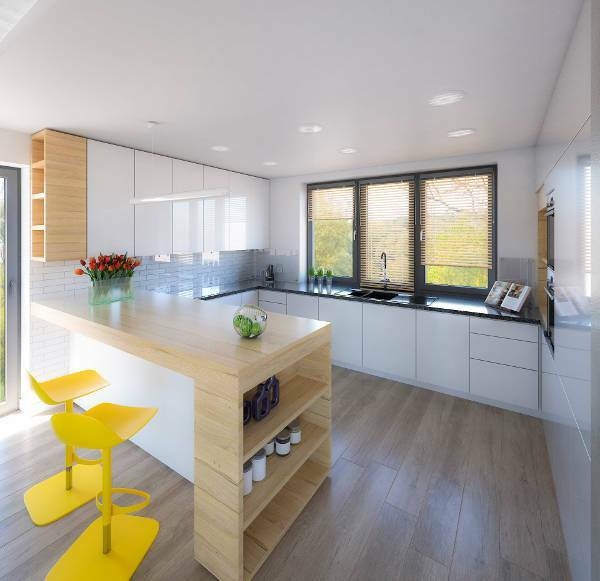 A combination of white and wood complemented with yellow bar stools gives the kitchen a modern and jazzy touch. The subway tile backsplash gives a suitable eclectic touch to space. Adding textures with slightly dark tones can help to bring a more masculine touch to space. 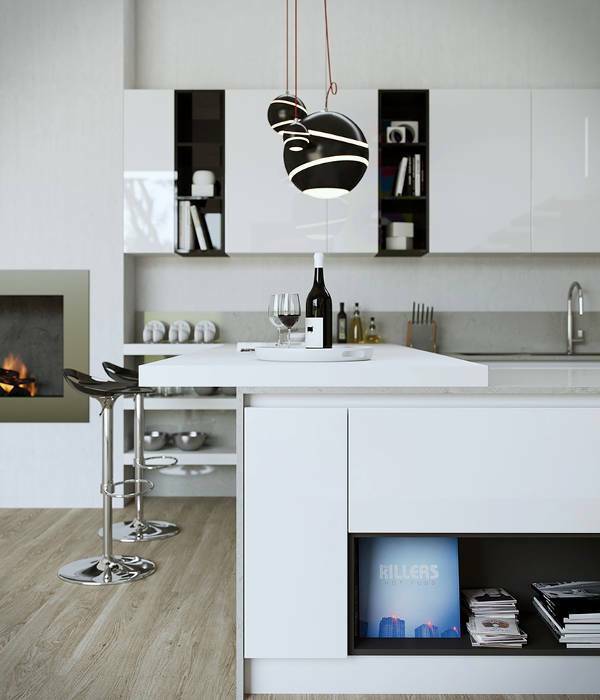 The addition of pendant lights can further help to add a dramatic touch to the kitchen. 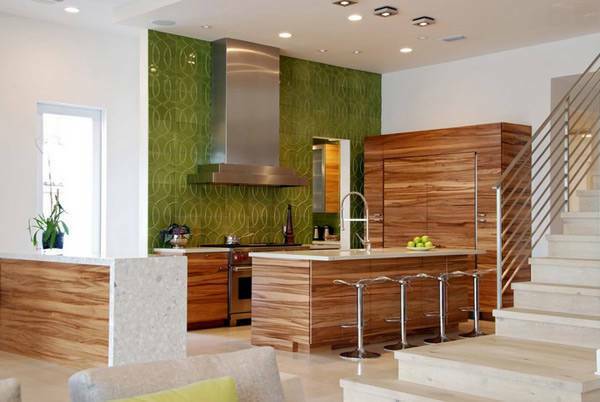 Take inspiration from the above-mentioned designs and bring a stylish upgrade to your culinary space.